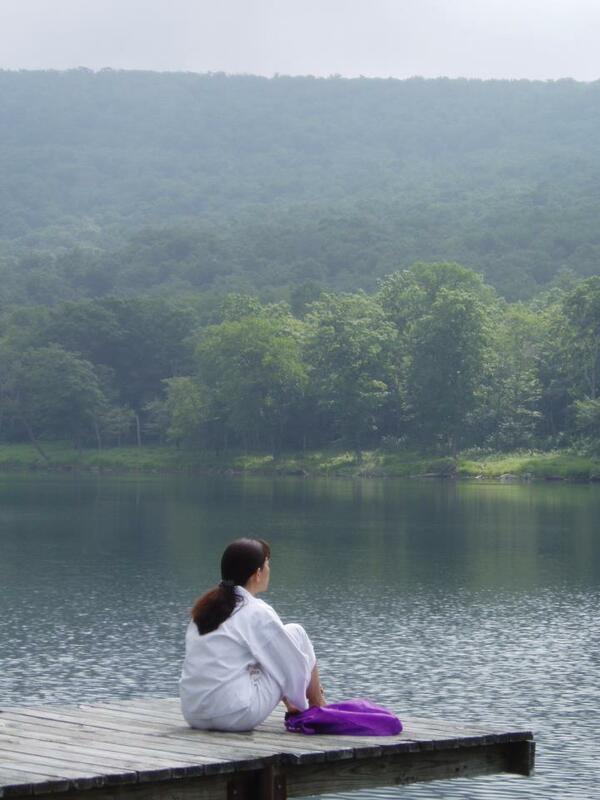 With deepest gratitude, we invite you to join Komyo Reiki Meditation and Healing Retreat in Dai Bosatsu Zendo, a Zen monastery located deep in the Catskill mountains, near Livingston Manor, New York. Komyo Reiki Shinpiden (Reiki Teacher) class will be taught by Hyakuten Inamoto, founder of Komyo Reiki Kai from Kyoto, Japan. Dai Bosatsu Zendo is a large estate with over 1,000 acres of maple forest, with a pristine Catskill lake and teeming wildlife. The monastery was built and designed like the Zen temple in Kyoto, Japan. There is also Joraku-An, a guest house by Beecher Lake, where different wellness retreats take place. Dai Bosatsu mountain is also known as native american healing ground in the past. We will study and practice Komyo Reiki with Hyakuten Sensei in a spiritual and enlightened atmosphere. It includes Komyo Reiki Shinpiden class, slideshow with history of Reiki, Reiju(attunement) practice, Reiki share, Zen meditation and chanting, communing with nature, eating delicious vegetarian meals. This 2015 Komyo Reiki Retreat is dedicated to 150 Birthday Anniversary of USUI Mikao, founder of Reiki. And this year’s retreat is opened to all reiki masters/ practitioners of all lineages. On August 15, 2015, 150 Birthday Anniversary of USUI Sensei will be commemorated (Details TBA). Komyo Reiki Shinpiden(Teacher) class is an upgraded level for Reiki Masters/ Teachers of all lineages.